You may have one of the healthiest, safest and most potent Natural Herbs in your spice rack! Do you know what it is? That’s right – Turmeric! Turmeric can be used to reduce Inflammation in your body, whiten your teeth as well as spice up your culinary dish! This item was first used as a dye but was later found to have many medicinal benefits. Turmeric is one of the top herbs to be used for medicinal purposes due to its primary Pharmacological Agent called Curcumin. Turmeric is a plant of the ginger family and has been proven to be a great natural staple to have in your home as it has TONS of health benefits. I have been using Turmeric and have personally seen a difference in my overall health. Here are some great Benefits of using Turmeric. *This blog is not designed to, and should not be construed to, provide medical advice, professional diagnosis, opinion or treatment to you or any other individual, and is not intended as a substitute for medical or professional care and treatment. Please always consult a physician when taking a new herbal medicine or when on other prescription medication to confirm that Turmeric will not interfere with any other drugs currently being taken. I suffer from a herniated disc and have been researching how to get relief naturally to reduce the inflammation in my back. I did not want to constantly take over-the-counter medicine to help relieve the inflammation in my body. I started to read about natural alternatives and most commonly mentioned were Ginger and Turmeric. Since Turmeric is from the Ginger Family and Ginger is also known to help with inflammation of the body, it seemed like this was the way to go. So I have been taking an all natural pill made of Turmeric and Ginger and have seen a huge difference in my every day movements and how my back feels. Anti-inflammatory uses are one of its most common benefits because it does not cause side effects, unlike other OTC drugs. The main compound, Curcumin is the reason why Turmeric is used mainly to help with Inflammation in the body. If not treated, inflammation can lead to many diseases as well as other symptoms like food allergies, digestive problems and joint pain. Reducing the amount of inflammation in the body is key to a healthier life with less pain. There are many different ways to consume Turmeric some include pills, teas or smoothies. Here is a great Tea recipe by Joe Cross that will help reduce inflammation and allow you to sit and relax for a few minutes! Sounds like a Win/Win to me!! It is said that there is a bioactive compound in Turmeric, aromatic-turmerone, which can increase neural stem cell growth in the brain by as much as 80%, at certain concentrations, as stated By Dr. Mercola. The self repair process is due to the Neural Stem Cells differentiating into neurons. Neurons are capable of forming new connections and in certain areas they can multiply and increase in number. There are some experts out there that have tested this theory and they say that this yellow-orangeish powder may improve your memory! Another reason why it is so good in slowing the progression of Alzheimer’s, is due to the reduction of inflammation. Those with Alzheimer’s have higher levels of inflammation in the brain and by lowering the inflammation, it slows down the progression. Put the Mixture into a Container or Jar to use now and for keeping later. Best Stored in the Fridge for a few days. Do this several times a week until desired whiteness is achieved and then reduce the amount of time per week to maintain that Beautiful Smile! Curcumin in the Turmeric helps block fat which slows down the increase of belly fat. 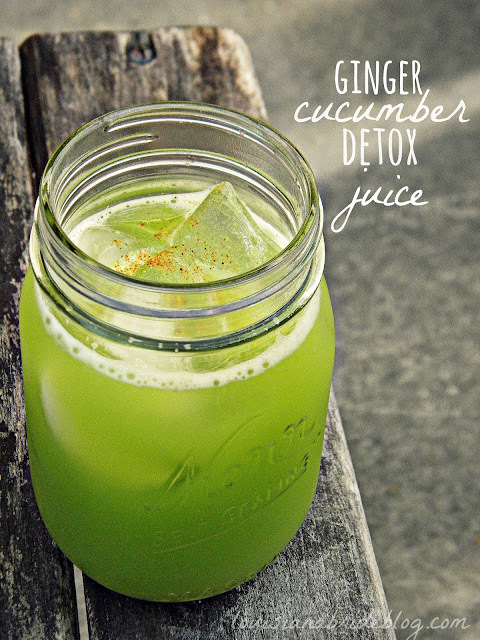 Due to the anti-inflammatory agents, this helps with belly fat and bloat. The only issue is that you need to make sure that you are getting the correct amount of Turmeric in your diet to help with the belly fat. Unfortunately Turmeric is poorly absorbed into the bloodstream so it is best absorbed through actually adding the spice to your food as well as black pepper. Black pepper contains, piperine, so along with turmeric, use the pepper for best absorption. It can be absorbed through a pill but the most effective is to add 2-3 grams of turmeric a day to your meals. As with all herbs it’s important to keep in mind not to take too much. There are various reasons for heart disease and researchers are constantly looking at what causes heart disease. But there is one thing that can help lower heart disease, Turmeric! Curcumin helps reverse the steps in the heart disease process. One of the reasons that this helps with reversing the steps is because it improves the lining of the blood vessels. In one study, 121 patients that were undergoing coronary artery bypass surgery, randomly chosen, and some were given a placebo and others were given 4 grams of curcumin per day before and after their surgery. Those that received the curcumin had a 65% decreased risk of experiencing a heart attack. One of the many reasons Turmeric is used in treating gastrointestional issues is because it helpswithstand digestive acids. These digestive acids if not treated can cause pain, indigestion and other discomfort. Turmeric stimulates the production of Bile from the gall bladder. Bile is necessary in aiding digestion and turmeric helps your gallbladder produce more bile. Turmeric can help with bowel disorders such as Crohn’s disease, Irritable Bowel Syndrome, Ulcers and other medical issues dealing with the digestion region. We observed that curcumin was well tolerated by all the patients. The proportion of responders as measured by the HAM-D17 scale was higher in the combination group (77.8%) than in the fluoxetine (64.7%) and the curcumin (62.5%) groups; however, these data were not statistically significant (P = 0.58). Interestingly, the mean change in HAM-D17 score at the end of six weeks was comparable in all three groups (P = 0.77). This study provides first clinical evidence that curcumin may be used as an effective and safe modality for treatment in patients with MDD without concurrent suicidal ideation or other psychotic disorders. This study was the first of many published studies that compared Turmeric to Prozac. Based on these studies, it has been shown that Turmeric is as effective as Prozac in treating major depressive disorder (MDD) without all the side effects that can come from taking a prescription medication. Curcumin in Turmeric has been known to help the liver function properly. The liver is used to help expel Toxins and filter your body so Turmeric helps with ridding of toxins. In addition to it helping rid of toxins, it also can be used as a strong anti-cancer property by saying Bye to those toxins. Adding Turmeric on a daily basis has been shown to help minimize the intensity of flare ups and irritation among those suffering from Psoriasis, according to the National Psoriasis Foundation. Curcumin in Turmeric is the known agent to help alleviate the symptoms and is encouraged to be added daily for those that suffer from these types of skin conditions. It is an effective antioxidant which also helps with the inflammation of the body. Turmeric is also well known to help fight aging. It can be used as an exfoliate all over your face and body. You just need to take Gram Flour and Turmeric Powder and mix equal parts. Then slowly add water to create a paste or add more water to create more of a milk consistency and apply either the paste or milky solution. You can apply this all over your face and body and let it dry. Then wash off with lukewarm water. Turmeric is also helpful with acne scars. Here is how to apply Turmeric for the acne scars: Add a Mix of Turmeric and plain water to the scar and leave for 15 minutes. Then wash off and continue to do this 2 times per week until the scar diminishes. Turmeric is also great along with Aloe Vera Gel to relieve the pain of a burn. If you burn your hand or any other part of your body, apply a mixture of Turmeric Powder and Aloe Vera Gel. This will help with relief as well as lower the chance of a scar from the burn. Who knew that a basic spice used in Curry as well as in Mustard could have such HUGE benefits for a longer and healthier life? I have added this spice into my life for only the inflammation part but the more I have learned about this powerful herb, the more I want to tell every one that I know to add this item to their daily intake. With all these benefits, how could I not add this daily!!! It helps with Inflammation, Heart Disease, Brain Power, Scars, Glowing Skin and the list goes on. I would love to hear ways that you have incorporated Turmeric into your daily life and ways that it has benefited you. Please share your stories, recipes or comments on this wonderful herb!